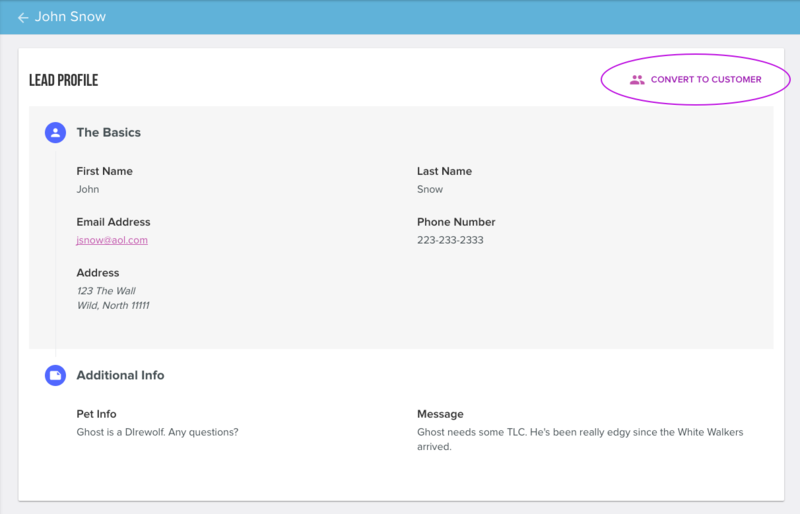 Leads can be accessed by clicking on the leads icon in navigation menu on the left side of the screen (hint: it's right below customers). Note: only ACTIVE leads are shown in the table. Active leads are those that have not been converted to a customer or have been deleted. 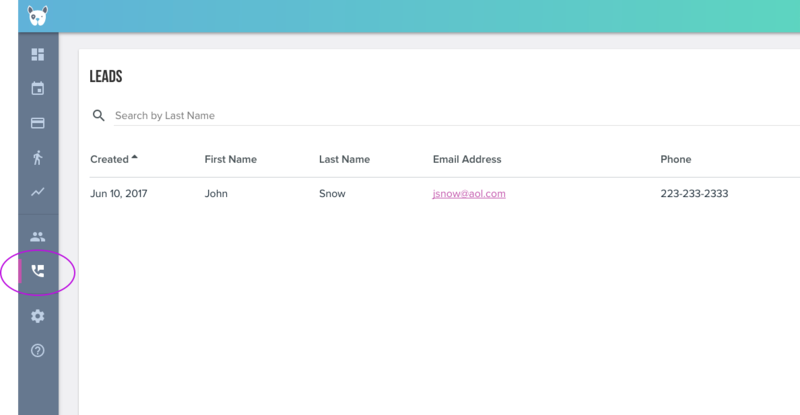 Clicking on a lead in the list will take you to a screen that displays all the information that was collected through the form on your website. Simply click the "Convert to Customer" button in the upper-right hand corner of the lead's detail page. When you click on the "Convert to Customer" button, you'll be prompted whether or not you want to notify the newly added customer. If you choose to notify the newly-converted customer, they'll receive an email to activate their account. Otherwise, you can do it later from their customer profile. This is the same exact process you encounter when creating a customer manually.